I made a cute little spring treasury on Etsy and thought i’d share it on here with my reasons for picking each object. 🙂 You can find my treasury here. It’s kind of hard to believe these aren’t real. Who wouldn’t want these to brighten up their living room? 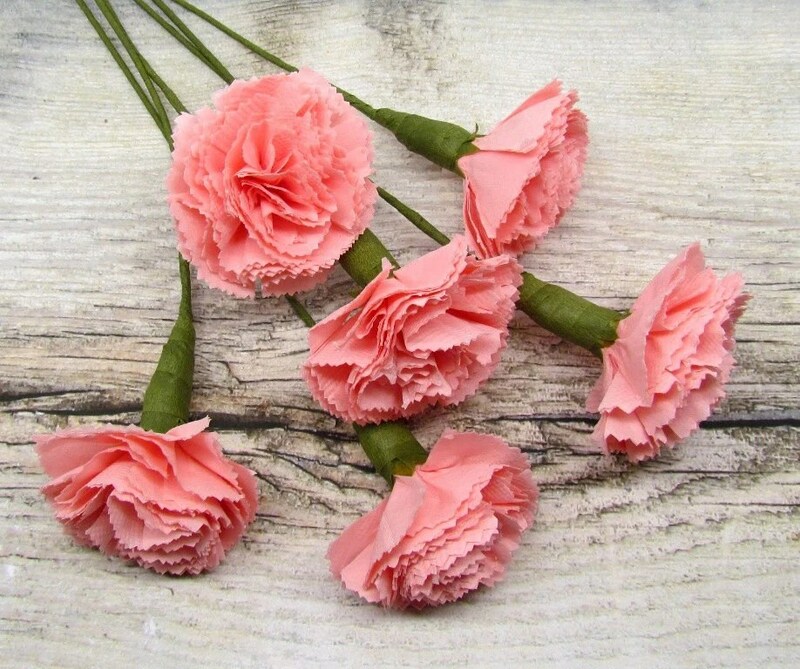 They wont die like real flowers and can come in a range of colours to suit your room! Definitely a good choice if you always forget to water or buy new plants like me. I love how unusual this bracelet is. The branch with the first hint of flower is adorable and reminds me of the trees just starting to blossom. Want a big bright statement piece that makes winter vanish to memory? Then this is surely the necklace for you. Its bright, fun and cheerful and just makes me smile. 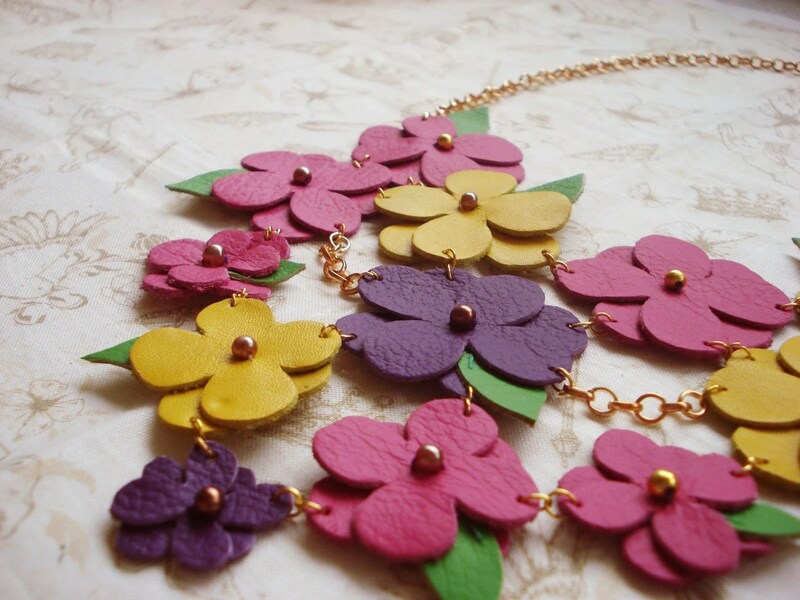 This necklace is cute and fresh, just what you need to chase away the cold british winter. 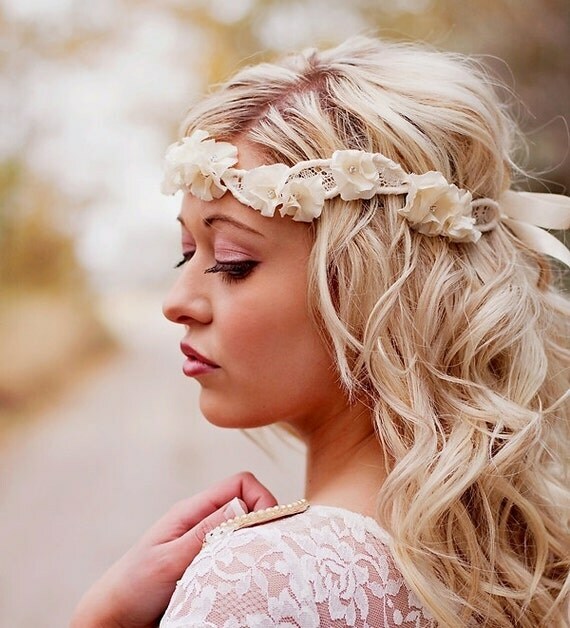 The straw like string adds a touch of the unusual and the flowers add that cute feminine touch. All together a very adorable little necklace. 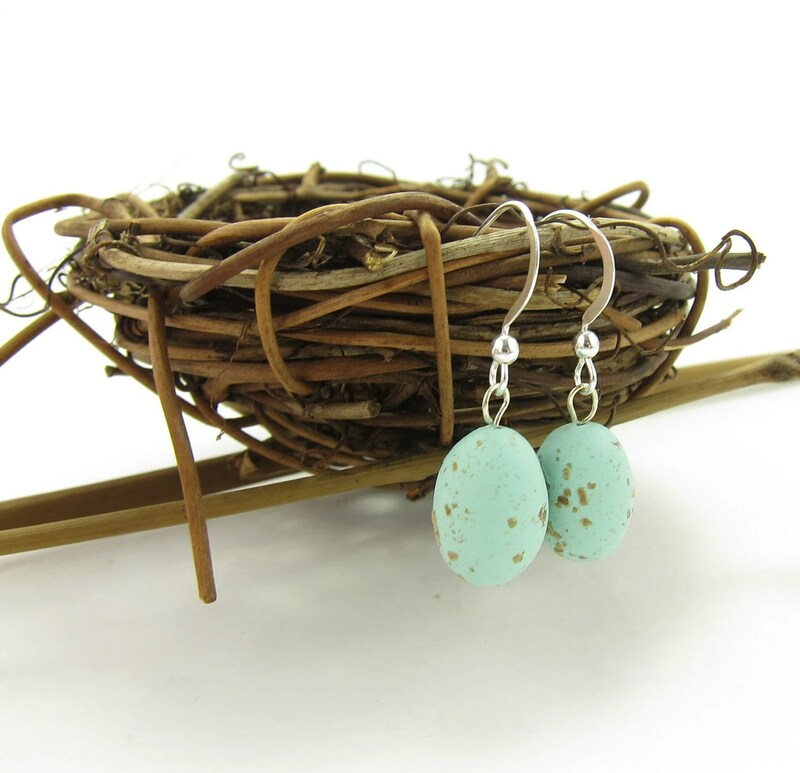 Spring is a time for new life, eggs are being laid and flowers are blossoming, so why not feel part of it by wearing some ‘eggs’ on your ears? Not only are these adorable, but I think they would go perfectly with the necklace above! Well we’ve had the eggs so we obviously needed some birds as well! 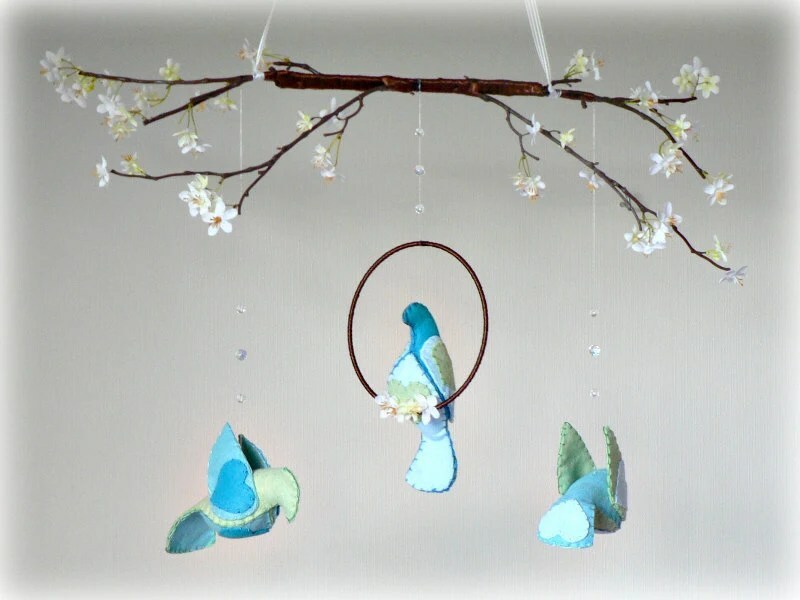 I love the twig and flowers at the top of this mobile and the birds finish it off beautifully. I can just see this in a little girls nursery, but to be honest i’d really want to steal this for myself. It is definitely one to enjoy no matter what your age is. Want to look like a flowery meadow? Well then this is the necklace for you. 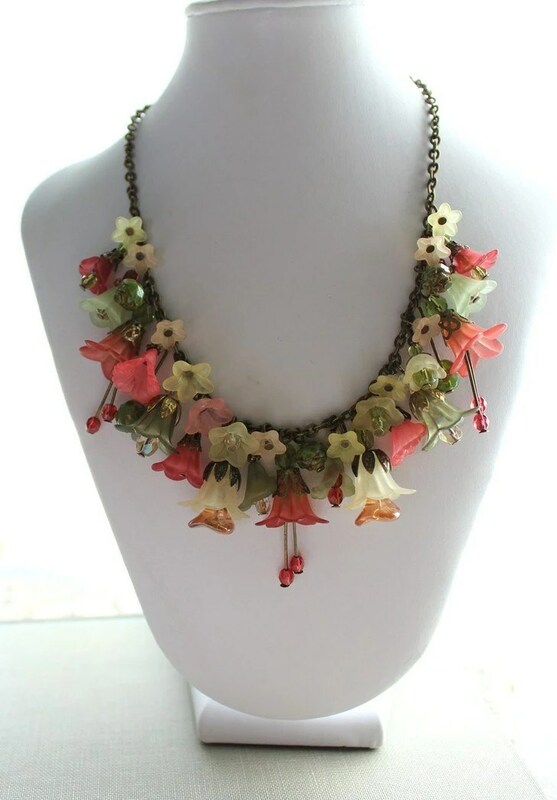 Crammed full of cute little flowers this statement necklace is bound to turn heads and make any outfit look fantastic. 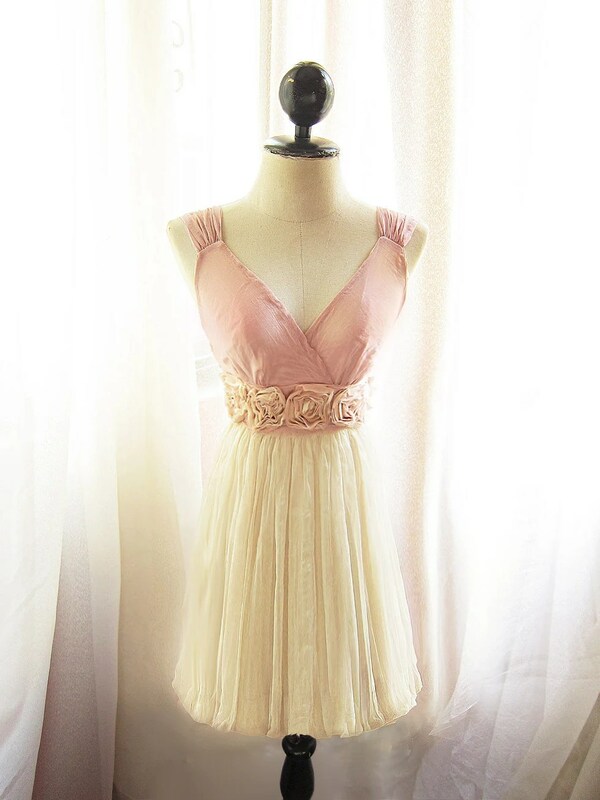 This is the kind of dress I can imagine wearing on a warm spring day/evening whilst prancing around a meadow. It’s just stunning. Maybe the weather isn’t quite warm enough for it yet, but it’s getting there. Although I’m not sure if i’d dare wear it out of the house myself for fear of ruining it! It’s impossible not to think about snowdrops when spring is mentioned and these earrings seem to mimic them beautifully. 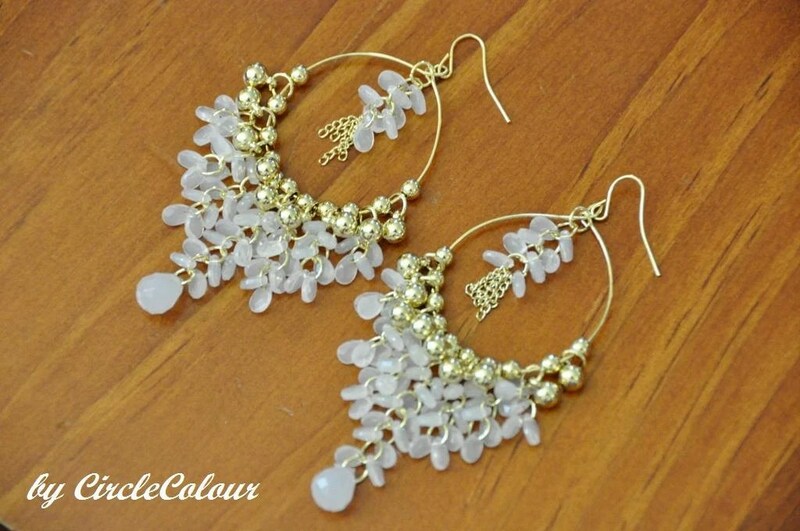 Bring a touch of classy elegance to your outfit by wearing these, i’d personally wear them with my hair up just to make sure they’re noticed! 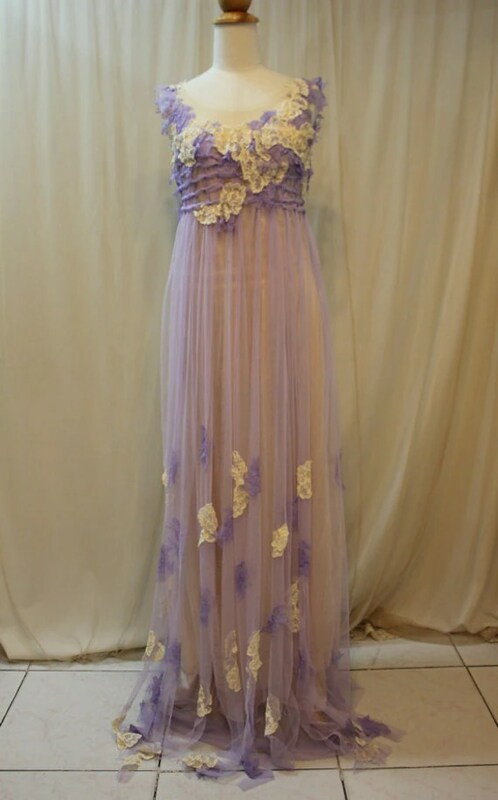 I don’t know what to really say about this dress other than just simply ‘Wow’. The delicate lace and pastel colours seem to compliment the freshness of spring and really does make me think of flower fairies dancing in the evening light. From classic to just plain cute! 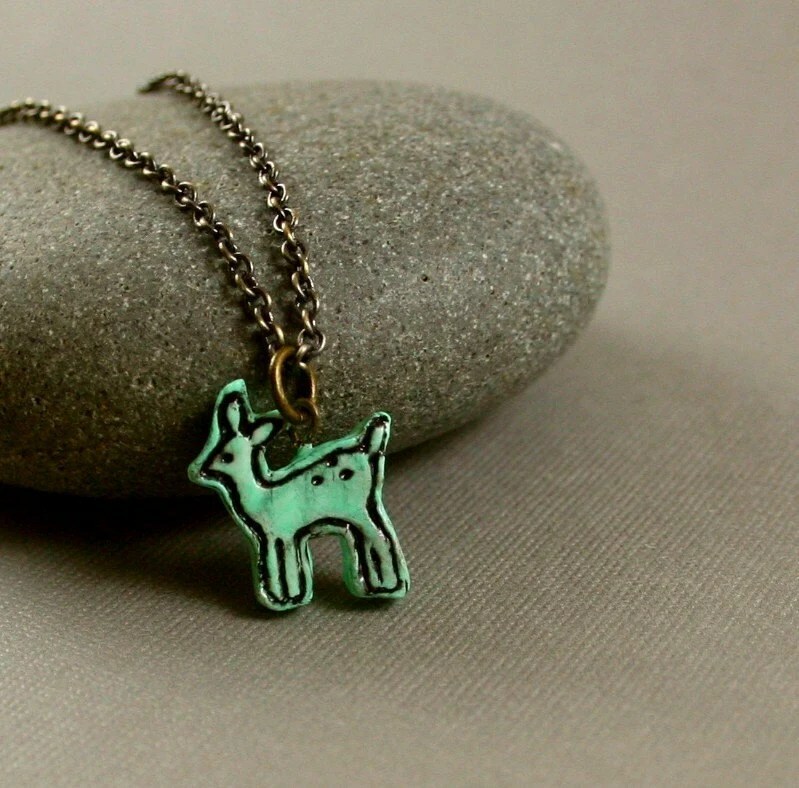 Everyone loves deers and this necklace is just adorable! Another animal that reminds me of spring is the little baby ducklings! 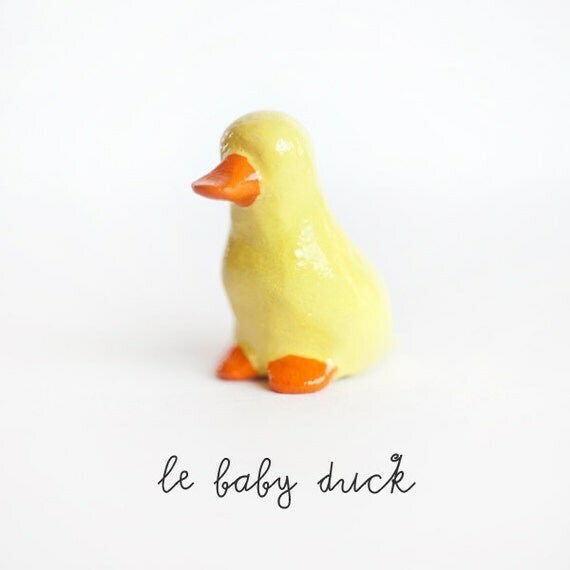 If I could I’d buy lots of these little figurines and make a line of them that I could imagine were waddling towards a nice little picturesque pond. 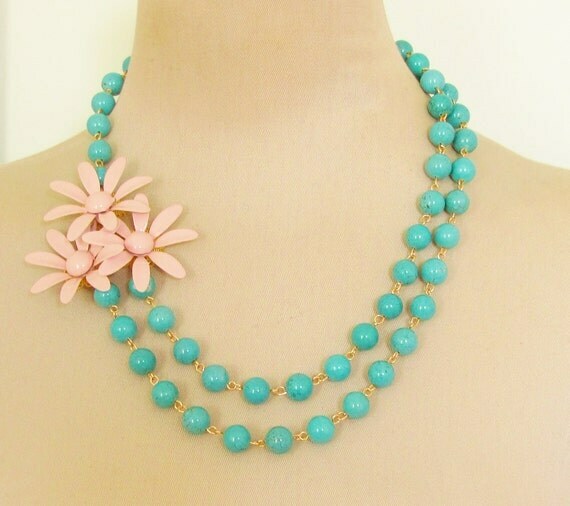 Another statement necklace with some bold pink flowers and green beads. A modern, but some how classic, look to really attract the compliments. Gold, Silver, Diamond. What more does a girl want? 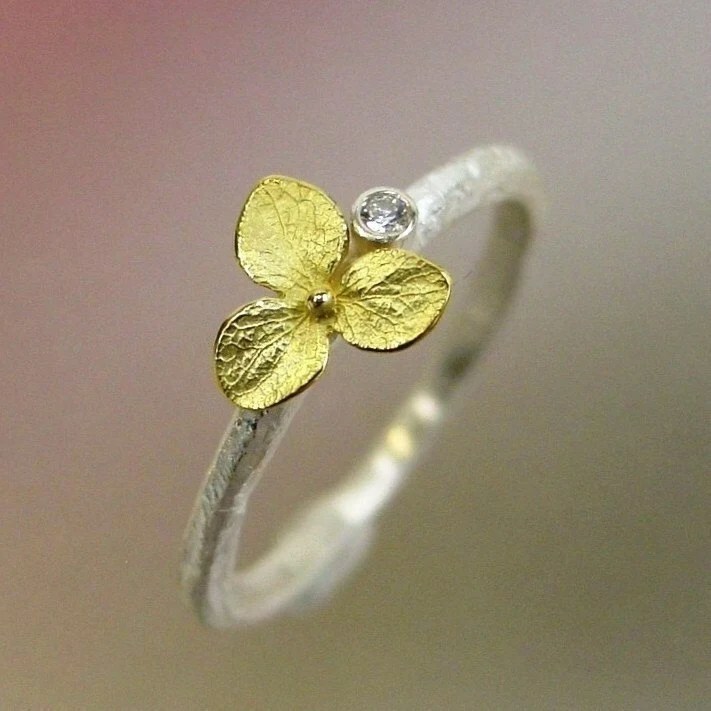 This delicate little ring would certainly draw in my attention and leave me completely green in envy! The vein detail on the flower really finishes this piece off and I can imagine I would spend hours tracing them with my eyes. It may be listed as a wedding Item, but I would wear this despite not even being engaged yet. I love the messy vintage glamour this seems to exude. 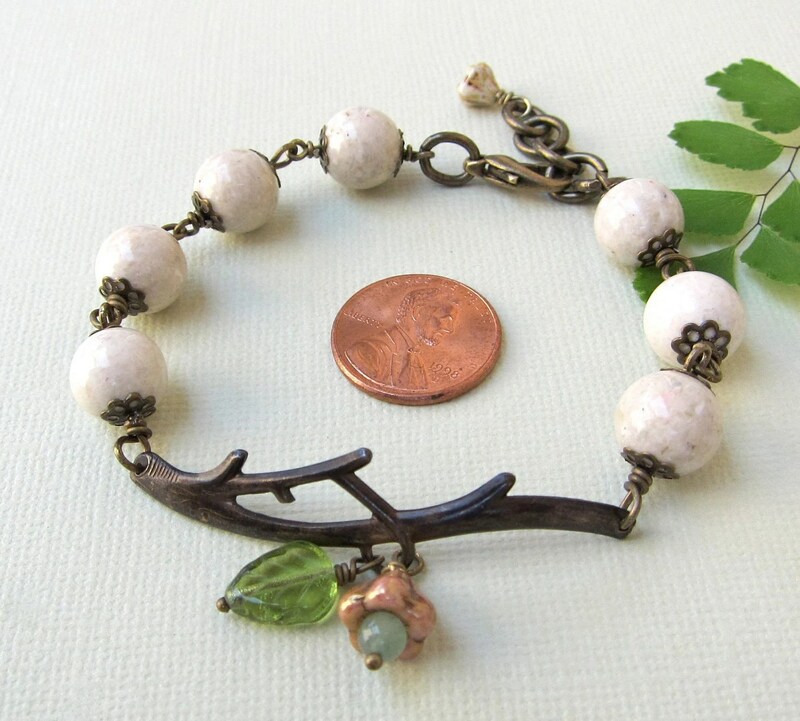 What better way to feel at one with nature than to be wearing this gorgeous piece. 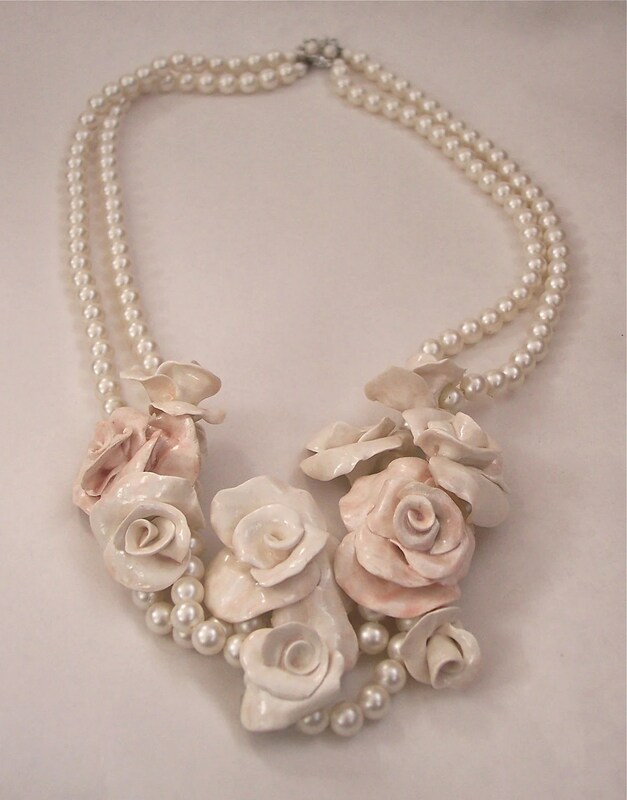 Another statement necklace for the demure woman in you. A string of pearls with a bunch of flowers, a fresh addition to a smart outfit. I hope you like these Items as much as I do, I had a lot of fun putting it together.